Can Bankruptcy Help Me Deal with Debts from an Ex-Spouse? are now coming after you instead of your ex. So how should you handle this? rights against your ex-spouse, such as a hold in contempt of court. able to pay towards it. unless they get protection as well. 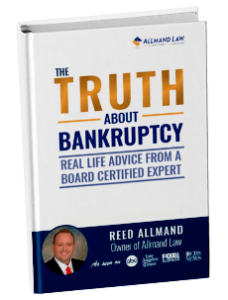 By Allmand Law Firm, PLLC|2019-01-23T08:31:16+00:00January 6th, 2014|Divorce and Bankruptcy|Comments Off on Can Bankruptcy Help Me Deal with Debts from an Ex-Spouse?